Cloud services and technologies are currently receiving increased attention from the industry mostly due to business-driven promises and expectations. Significant innovations in virtualization and distributed computing, as well as improved access to high-speed Internet and a weak economy, have accelerated interest in cloud computing. However, is the migration to the Cloud the most profitable option for every business? Enterprise adoption of cloud computing often requires a significant transformation of existing Information Technology (IT) systems and processes. To justify such a change, a viable business case must be made based on the economics of transformation. This chapter presents a study of the basic parameters for estimating the potential infrastructure and software costs deriving from building and deploying applications on cloud and on-premise assets. Estimated user demand and desired quality attributes related to an application are also addressed in this chapter as they are aspects of the decision problem that also influence the choice between cloud and in-house solutions. Cloud computing has become the buzzword in the industry today. Cloud computing enables the use of common business applications online using the providers’ software and hardware resources and finally paying on-demand Although it is not an entirely new concept significant innovations in virtualization and distributed computing, as well as improved access to high-speed Internet and a weak economy, have accelerated the interest in cloud computing. This model opens a new horizon of opportunity for enterprises as it introduces new business models that allow customers to pay for the resources they effectively use instead of making upfront investments. This fact raises the question of whether such a technology reduces IT costs and the situations under which cost is actually a motive for migrating to cloud computing technologies. As cloud computing services are maturing, they are becoming an attractive alternative to traditional in-house or on premise development.. Cloud computing promises to increase the velocity with which applications are deployed, increase innovation, and lower costs, all while increasing business agility.The variable costs calculated on scalable use of resources, the support of enterprise growth through on demand instant infrastructure provisioning and the shift of maintenance, administration and monitoring operations to third parties are among the compelling benefits of the cloud. Still a quantitative analysis of the relevant aspects of the potential IT problem is required before making a decision on the appropriate development and infrastructure model. IT managers are recently faced with the problem of making a selection between cloud computing and on-premise development and deployment. Cloud computing option is attractive, especially if the quality delivered and the total cost is satisfying and the risks are reasonable. The real question for many IT departments is whether the cost of transition to an external computing cloud will be low enough to benefit from any medium-term savings (Armbrust et al., 2008), (Cloud Computing Congress, 2010). In order to be able to provide answers to the above question, a formal cost analysis of cloud and on-premise deployment should be performed in order to compare thoroughly the two alternatives. A thorough analysis of the estimated costs and quality associated with the two alternatives will help an IT manager define the pros and cons of each solution. Such an analysis will point out which is the right combination of cloud and premise based assets and can indeed provide the optimal solution. As mentioned by Knight, (2009) the key is not choosing between the two solutions but being strategic about where to deploy various hardware and software components of a total solution. Although there is a lot of research dedicated to cloud computing software engineering issues, economics and cost estimation drivers for adopting such a technology are not systematically addressed. 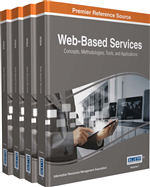 This chapter presents basic parameters for estimating the potential benefits from Cloud computing and provides an estimation framework for determining if it is a technology that offers a long term profitable solution to IT business problems. Basic parameters for estimating the potential costs deriving from building and deploying applications on cloud and on premise assets are presented.